Immigration Part 1: How Did We Get Here? The United States is fundamentally a nation of immigrants. From the time of its conception, the opportunity to freely immigrate helped define America as a country whose character was built on a blend of national backgrounds. This idealized image of the United States must be tempered by an acknowledgment that the “blend” was assumed to consist mostly of immigrants from Northern and Western Europe. People of African descent were excluded from citizenship. The Constitution famously specified that only three-fifths of the slaves would be counted for purposes of determining Congressional representation in the new democracy. In 1857, the Supreme Court rendered its judgment in the case of Dred Scott v. Sanford, holding that slaves and persons descended from slaves were not citizens. At a time when there were nearly 4 million slaves in the country, Chief Justice Roger Taney, dismissed the reference in the Declaration of Independence that “all men are created equal” by stating “it is too clear for dispute, that the enslaved African race were not intended to be included, and formed no part of the people who framed and adopted this declaration.” A decade later, the Thirteenth Amendment (1865) and the Fourteenth Amendment (1868) would overturn Dred Scott by abolishing slavery. The population of the United States was 3.9 million at the time of the first census in 1790. By 1820, the population had grown to 9.6 million. Between 1820 and 1910, 27.9 million immigrants arrived in the United States, with 92 percent of them coming from Europe. Large numbers of immigrants came from the United Kingdom (7.7 million), the German Empire (5.3 million), Austria-Hungary (3.1 million), Italy (3.0 million), the Russian Empire (2.3 million) and Sweden (1.0 million). Toward the end of this period, increasing numbers of immigrants were coming from countries in southern and eastern Europe, making up 70 percent of the immigrants in the 1900s. Restriction of immigration as a national policy began to emerge in 1882, when the Chinese Exclusion Act halted immigration from China and barred the Chinese from becoming citizens. The Chinese Exclusion Act was a political response to the belief by many native-born Americans on the West Coast that Chinese workers were the cause of rising unemployment and declining wages and the perception that the Chinese were racially inferior. The Immigration Act of 1917 (also known as the Alien Exclusion Act) prohibited immigration from India, Indochina, Afghanistan, Arabia, the East Indies and several other countries within the “Asiatic Barred Zone.” The act imposed a literacy test for all immigrants older than 16. The real purpose of the literacy test was to reduce the number of immigrants from southern and eastern European countries, which had higher rates of illiteracy than countries in northern and western Europe. In most of the provisions of the bill I should be very glad to concur, but I can not rid myself of the conviction that the literacy test constitutes a radical change in the policy of the Nation which is not justified in principle. It is not a test of character, of quality, or of personal fitness, but would operate in most cases merely as a penalty for lack of opportunity in the country from which the alien seeking admission came. The opportunity to gain an education is in many cases one of the chief opportunities sought by the immigrant in coming to the United States, and our experience in the past has not been that the illiterate immigrant is as such an undesirable immigrant. Tests of quality and of purpose can not be objected to on principle, but tests of opportunity surely may be. The Alien Exclusion Act followed the tide of a political movement known as “Americanization.” The movement sought to “assimilate” immigrants by instructing them about American ways. Educational programs promoted through public institutions, schools, businesses and volunteer organizations (such as the YMCA) focused on teaching English, American history and government. Business interests (notably the Ford Motor Company) endorsed Americanization programs as a means to increase productivity and loyalty among immigrant workers and to counterbalance the appeal of unions. After the 1917 Bolshevik Revolution in Russia and the end of World War I, the Red Scare began to take hold of the public psyche in the United States. Political agitation by socialist activists fueled a general fear of communist-inspired revolution in America. In this atmosphere of suspicion and threat, labor union activity in pursuit of better working conditions was suspect and condemned as “un-American.” The fear of anarchist plots led many to believe that recent immigrants from Eastern Europe were behind the spread of Bolshevism and “subversive” activities in the land. In 1920, a bill was introduced in the House to suspend immigration for fourteen months “for the Protection of Citizens of the United States.” The bill passed in the House by a wide margin, but the Senate rejected total suspension of immigration. Instead, the Senate proposed a quota system to restrict immigration. The Senate bill, later endorsed by the House, imposed a nationality quota equal to 3 percent of the number of foreign-born persons of each nationality residing in the United States at the time of the 1910 census. Calculated on that basis, the quotas favored immigration from Northern and Western Europe and allowed fewer immigrants from countries in Southern and Eastern Europe. President Wilson vetoed the legislation in 1920. After Wilson left office, the new President, Republican Warren G. Harding, called Congress to a special session to pass the bill again, and Harding signed the bill in 1921. Immigration, which had amounted to approximately 805,000 people in 1920, dropped to 309,000 in 1922. The bill, known as the 1921 Emergency Quota Act, applied only to immigrants from Europe. The law placed no limitation on immigration from countries in the Western Hemisphere. The Immigration Act of 1924 (also known as the Johnson-Reed Act) tightened the policy of restricting immigration by reducing the nationality quota from 3 percent to 2 percent and by applying the quota to the 1890 census, rather than the 1910 census. Because most immigrants from southern and eastern European countries had arrived after 1890, the 1924 act reduced the number of new immigrants allowed from those countries. Another provision of the 1924 act excluded “aliens ineligible to citizenship”—a provision targeted at immigrants from Japan, who were considered racially incapable of assimilation into American society. Like the earlier “emergency” measure of 1921, the permanent quota system imposed by the 1924 act did not apply to immigration from Mexico and other countries in the Western Hemisphere. Keeping the door open for an unlimited supply of immigrant workers from Mexico was a political accommodation of business interests concerned that restriction of immigration could result in labor shortages. The 1924 act further provided that, beginning in 1927, immigration would be limited to 150,000 people per year, with a quota calculated on the nationality of all inhabitants of the continental United States in 1920. “Nationality,” however, excluded immigrants from the Western Hemisphere or their descendants, aliens ineligible for citizenship (namely, the Chinese and Japanese) or their descendants, descendants of slave immigrants and descendants of “American aborigines.” The minimum annual quota for any country would be 100 (China and Japan excluded). The act instituted the requirement that all immigrants had to apply for and obtain an entry visa from the U.S. consul in their country of origin. In other words, to the extent that the “inhabitants in continental United States in 1920” constituted a legal representation of the American nation, the law excised all nonwhite, non-European peoples from that vision, erasing them from the American nationality. The practical consequence of those erasures is clear enough. In 1920 African Americans accounted for approximately 9 percent of the total United States population. Had they been included in the base population governing the quotas, the African nations from which they originated would have received 9 percent of the total immigration quota, resulting in 13,000 fewer slots for the European nations. Faced with a potential shortage of farmworkers as World War II approached, the United States and Mexico created the Bracero Program in 1942 to recruit Mexican men to come to the United States as temporary contract workers. By the time the program ended in 1964, more than 4.6 million Mexicans had entered the U.S. under temporary contracts (this number includes individuals who entered more than once). The contracts required that the workers be given transportation from the worker’s place of recruitment to the place of work (paid for by the U.S. Government), a minimum wage equal to U.S. domestic farm laborers, and decent housing to live in while they were working. Nevertheless, working conditions for migrant workers in the U.S. were deplorable. Because the Bracero Program was restricted to male workers with farming experience, thousands of unemployed Mexican workers were not eligible. Many ineligible workers crossed the border anyway and found willing employers in the U.S. By 1948, there were an estimated 70,000 “undocumented” workers in the U.S. The number grew to 1.5 million by 1952. In 1952, Congress passed the Immigration and Nationality Act (also known as the McCarran-Walter Act). This law continued the restrictive quota policy of the 1924 act and imposed a limit to the number of immigrants admitted from each country, capped at one-sixth of one percent of the persons of that nationality who had been living in the United States in 1920. Under this formula immigrants from northern and western European countries received 85 percent of the 154,277 visas available annually. As with the 1924 law, the nationality quota did not apply to Mexico and other countries in the Western Hemisphere. Although the 1952 act eliminated the exclusion of Asians, it allotted a quota of only 100 immigrants for each Asian nation. The Asian quotas were based on race–not nationality—which extended the policy of discrimination against immigration from Asian countries even as outright exclusion was lifted. The act created immigration preferences. For example, the first preference was given to immigrants with valuable skills. The second preference was for parents of U.S. citizens. Spouses and children of resident aliens had third preference, and other relatives were fourth. The act focused on excluding certain classes of undesirable immigrants—including anyone having any association with communism, reflecting the politics of the early Cold War period. The 1965 Immigration and Nationality Act (also known as the Hart-Cellar Act) ended the policy of limiting immigration based on national origin. The act, instead, established a system of seven levels of preference (described below). The law imposed annual quota of 170,000 visas per year for immigrants from the Eastern Hemisphere and (for the first time) imposed a quota of 120,000 per year for immigrants from countries in the Western Hemisphere. A per-country quota of 20,000 was imposed on countries in Eastern Europe, and in 1976 this per-country limit was extended to countries in the Western Hemisphere. The immediate family members of U.S. citizens (spouses, minor children and parents) were authorized to immigrate without numerical limit. The Civil Rights movement in the United States, which stood for the ideals of racial equality, provided political support for immigration reform and the elimination of nationality quotas that discriminated against Asians, Africans, and people from Southern and Eastern Europe. Likewise, Cold War politics pushed immigration policy into the arena of the propaganda war in which the United States promoted itself as the defender of freedom in the world. Restriction of immigration based on racially-biased nationality quotas was inconsistent with the advertised image of America that was a cornerstone of U.S. foreign policy. The preference categories under the 1965 act favored family reunification. The first priority was for unmarried children of U.S. citizens. The second preference was for spouses and unmarried children of resident aliens. Professionals or people who possessed exceptional ability in arts or sciences and who intended to work for American employers received third preference. Married children of U.S. citizens received the fourth preference. The fifth preference was for noncitizen sisters and brothers of U.S. citizens, and sixth preference was for skilled and unskilled workers coming to take jobs for which American workers were in short supply. The seventh preference was for political refugees. In recent years, the greatest number of immigrants from a single country has come from Mexico. From 1970 through 2009, there have been 6,092,388 legal Mexican immigrants, which is 20 percent of the total number of immigrants during that period. An unintended consequence of the 1965 act was the rise of “illegal” immigration from Mexico and other Latin American nations. Prior to the 1965 act, there had been no quota on immigration from Mexico and other Western Hemisphere countries. The act imposed annual numerical limits on immigration as well as the preference system for obtaining a visa. Under the preference system, unskilled workers who lacked a family relationship to either a U.S. citizen or a resident alien were near the bottom of the preference hierarchy. The visa application process, time-consuming and often unsuccessful, was ill-suited and impractical for low-skilled laborers in search of seasonal employment in the U.S. In effect, then, the 1965 act created a legal obstacle to immigration where none had existed before. For Mexican laborers seeking the better wages that could be found in the U.S., even the Bracero Program was unavailable as a means of legal access after its termination in 1964. The lack of jobs in their home country drove many workers to cross the border without a visa, even at the risk of deportation, and, in the U.S., employers were ready to hire them. The Department of Homeland Security Office of Immigration Statistics defines “unauthorized residents” as foreign-born non-citizens who are not legal residents. It is estimated that some two million to four million unauthorized immigrants were living in the United States in 1980. After reaching a peak of 11.8 million in 2007, the estimated population of unauthorized residents was 11.5 million as of January 2011. The majority of the unauthorized immigrants in the U.S. as of 2011 entered the country before 2005, and 55 percent entered the country between 1995 and 2004. Immigrants from five Latin American countries (Mexico, El Salvador, Guatemala, Honduras and Ecuador) totaled 8,570,000 people, or 74% of the total number of unauthorized residents. Immigrants from Mexico (6,800,000) greatly outnumbered immigrants from any other country and accounted for 59% of the total number of unauthorized residents in 2011. Unauthorized immigrants have come from other countries as well, including 310,000 from the Philippines, 260,000 from India, 230,000 from Korea and 210,000 from China. In response to rising levels of unauthorized immigration, Congress passed the Immigration Reform and Control Act in 1986. This act increased border enforcement and imposed sanctions on employers who knowingly hired unauthorized immigrants. The act granted legal status to unauthorized residents who had lived in the U.S. for at least five years. Under the legalization program, 2.7 million previously unauthorized residents attained the legal right to remain in the country. The 1986 act, however, failed to address unauthorized residents who had been in the country for less than five years or who would later arrive in the U.S. In addition, employers continued to hire unauthorized immigrants in large numbers, because the employer sanctions called for in the 1986 legislation were weakly enforced. 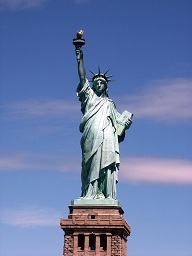 This post describes the historical context for U.S. immigration policy. It sets the stage for a further examination of the elements of the current immigration debate to be addressed in future posts. The summary of immigration history presented here may have oversimplified or even omitted important facts (and I encourage comments–click on the “Leave a comment” link below), but even this summary exceeds the word-count that many blog readers will consider tolerable. Immigration in the United States: New Economic, Social, Political Landscapes with Legislative Reform on the Horizon — An analysis by Faye Hipsman and Doris Meissner of the Migration Policy Institute. Pew Research Hispanic Trends Project – A project of the Pew Research Center that seeks to improve public understanding of the diverse Hispanic population in the United States and to chronicle Latinos’ growing impact on the nation. The Immigration Act of 1924 (The Johnson-Reed Act) – Part of a series of essays, “Milestones in the History of U.S. Foreign Relations,” published by the U.S. Department of State Office of the Historian. “America Would Lose Its Soul”: the Immigration Restriction Debate, 1920-1924 – A Master’s thesis by Vilja Lehtinen, Department of History, University of Helsinki.